The biggest brand export from Japan, Sony, is one of the most identifiable and iconic consumer electronics businesses in the world. They have made practically everything in every corner of the world. In the entertainment business, they provide a lot of devices, including some of the world’s best noise cancelling headphones as well as best over ear headphones. These have the combined effect of being comfortable as well as using active noise cancellation to remove a chunk of the ambient noise. 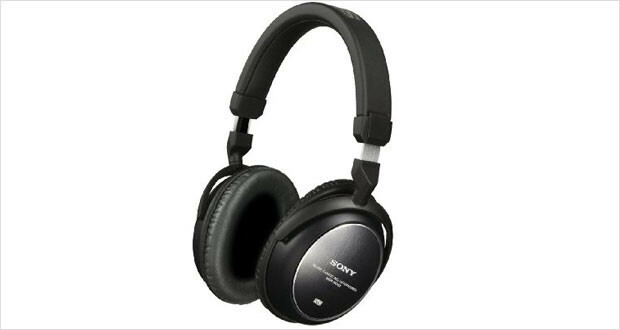 The Sony MDR-NC60 headphones are a good example of what Sony wants in its noise cancelling headphone segment. These are exquisite headphones at a competing price point that have really good innards and a potent noise cancelling element. Aimed chiefly at the jet setting class of the world, these are not very cheap, but deliver the performance required by those who spend too much of their productive time in noisy environments. The highs are excellent, but the mids and bass are where these headphones shine with their enveloping sound. Be prepared to be transported to the studio when wearing these headphones! The Sony MDR-NC60 headphones are a real testament to a design that lasts the test of time. These headphones are simply made with no embellishments, but the materials used are top notch and look like they will be around much longer than the innards of the device. The adjustable headband, soft cushy ear pads and overall elegant look make these a very beautiful and ergonomic pair of headphones. Dimensions11.1 x 8 x 4.8"
The materials used in these headphones are quite durable and elegant. The ear pads seem to be very durable too, and many long term users have spoken of their longevity. The framework on which the headphones are built are extremely lightweight while also being strong enough to hold on to their own. The foam ear cups and the adjustable headband ensure that these headphones are extremely comfortable for long hours of use. Even though they are closed-back, there is little extra heat that stays on your ears. The lightweight frame also reduces stress. The highs are very well endowed and sound rich and colorful. The mids are arguably the best sounding part of these headphones, with a balanced sound and depth that carries you to the studio or concert. The bass is deep, rumbly and quite awesome. These are a treat for OST lovers. The noise reduction performs as well as advertised. These cut out a lot of the ambient noise, but leave some room for awareness in a very loud environment. The mute button allows you to use the noise-cancelling microphones as ‘ears’, and listen to the outside world without taking off the headphones. The performance of these headphones are solid and highly recommended over the comparable Sennheiser and Bose headphones. While the Sony MDR-NC60 headphones are a great pair of headphones, one must also remember that it is fighting in a very tough section where performance, price and also the little class factor adheres itself to the buying decisions. 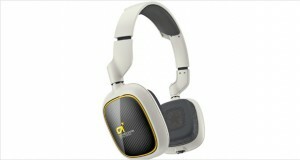 These are headphones for you if you do not mind the overall tame looks as compared to a Sennheiser or Bose. Otherwise these are great.